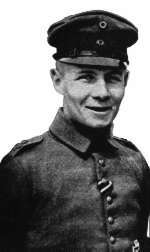 The Battle of Caporetto in 1917 was a decisive victory for Germany, and one in which 25 year old German lieutenant Erwin Rommel showed signs of his future greatness. It was an spectacular victory, which brought Italy to the brink of national collapse. But how were they able to so successfully overcome the far larger Italian forces? Here are five reasons explaining why Germany was the victor at the Battle of Caporetto. 1. Italy remained a predominantly agricultural society at the time of the First World War, and lacked the industry and infrastructure necessary to sustain a modern war of attrition. In consequence, even with the development of war industries between 1915 and 1917, Italian troops were often badly equipped and supplied. 2. Much of the Italian elite, especially the army officer-corps, was reactionary and corrupt. Cadorna was an extreme example: his indifference to the condition of his men and the casualties they suffered was notorious. A measure of his savagery is that, during the First World War, the Italians officially executed an estimated 729 men for cowardice and desertion; a further 300 are thought to have been executed summarily. The British, with a similar sized army, executed some 306, and none summarily. 3. Italy was a deeply divided society, with an impoverished peasantry and a small but increasingly militant and radical working-class. Socialist propaganda and the example of the Russian Revolution were growing influences in the trenches by 1917. The fact that the Italian Army recovered from the defeat at Caporetto and held a new line on the River Piave can perhaps be attributed to the fact that a war of imperial aggression had been transformed into a war of national defence. 4. The Germans had pioneered new infantry tactics capable of breaking the deadlock of trench warfare. The combination of short but massive artillery bombardment to neutralise front-line defenders and rapid assault by elite ‘storm-troops’ using fire-and-movement and infiltration was beginning to transform the battlefield. 5. Cadorna was especially arrogant and incompetent, refusing to countenance the possibility of a major Austro-German offensive on the upper Isonzo. The Italian trench-systems were incomplete in places, and the troops were too few and too badly deployed for effective defensive operations. The battle of Caporetto was not decisive. The Italian intervention in World War I was decisive. Do not forget that Italy won the war along with Britain, France and USA. On the 4th of November 1918 the Austrian – Hungarian empire surrended to Italy. When will you write an article on the battle of Vittorio Veneto ? With all due respect, Carlo, the role of Italy plays a secondary role to the bravery and sacrifice of Serbian Army and Serbian people in general. Scored the first Allied victory in WWI (Cer Mountain), beat two major Austrians offensives in 1914 (Kolubara and Belgrade), kicked Austrians out of Serbia, made forays towards Sarajevo (Bosnia) and north into (Austrian) Vojvodina. Succumbed in 1915 to the typhus epidermic and joint attack of Germans from the north, Austrians from the west, and Bulgars from the east. Recuperated in Greece with the help of French, broke the Bulgarian lines in 1918, broke the beck of the entire Axis southern front and alone liberated the entire YUGOSLAVIA (up to Trieste, yes) in 43 days. Lost 40% of its male population. So “thanks” for not mentioning Serbia as one of the victors, while overlooking Italian inability to break the second-grade Austrian lines. Liberated whole of Yugoslavia up to Trieste? Serbia? It was Italian troops that reached Trieste, Istria and Dalmazia. Your Serbian Army owe its very existence from 1916 to Italy. It was the Italian fleet that came to rescue them in Albania, where the Austrians were going to annihilate them to the last man if the Italian ships had not been there to save them. You are right, of course, that Italy was on the winning side in WWI, and that the Battle of Vittorio Veneto was the one that finally broke the resistance of Austria-Hungary. But Caporetto represents two things of great importance. First, the new infantry tactics which led to major breakthroughs by both sides on different fronts in 1918 were pioneered there. Second, Caporetto was one of a series of events which involved ordinary soldiers, in effect, refusing to continue the war – the Russian Revolution, the French Army mutinies, the Italian rout at Caporetto, and eventually the German Revolution. The article was exploring both of these aspects, but especially the first. Which is not to say that an article on Vittorio Veneto would not be interesting. Thank you for the honest reply. Actually it was a decisive victory, but at the most a complete disaster. According to John Farina’s website about Italy in World War I, Italians still say it was a Caporetto, to mean a complete disaster. Italy’s role was secondary compared to the United Kingdom, France, Russia and the United States. But compared to the Balkans it was not. Serbia and the other allied Balkan Nations are over looked when it came to the peace treaties of 1919-22. When one looks at the pictures from the Peace of Versailles, you see pictures of President Wilson, and Prime Ministers Lloyd George, Clemenceau, and Orlando who are referred to as the Big Four. That’s not to say they weren’t any representatives there, just that they weren’t as important as the Big Four at least historically. Vittorio Veneto probably played a part, but according to the book “Secret Warriors” it was the psychological victory of the allies by dropping or smuggling in pamphlets and notes to the soldiers of Austria-Hungary and Germany which did them in.